Ready f0r action and sporting the swingin' Adventure Team medallion, the Land Adventurer (7401) was introduced in 1970. His camouflage fatigues bring to mind the earlier Action Marine, so he is sometimes considered the replacement for that figure in the line. His dark brown flocking is the most common hair color, and was used for both this figure and the Talking Commander with beards, and for the Man of Action without the beard. There are instances of Hasbro substituting other hair colors in the Land Adventurer box, especially the red flock used primarily for the Sea Adventurer. The Hasbro (R) Hong Kong fatigues feature pockets on the shirt and pants in the first release that were later eliminated. The colors of the AT line popped off the shelf in stores and were irresistible to young Joe fans. 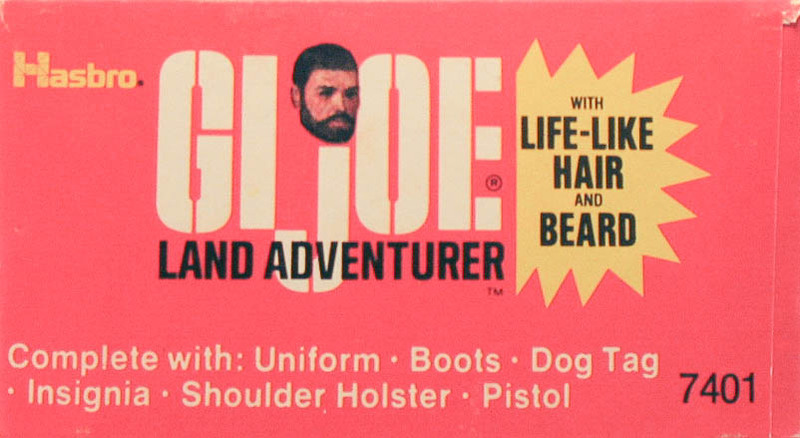 The vivid box art marketed the excitement of all of GI Joe's adventures. The box end (below left) provided an inventory of the contents. 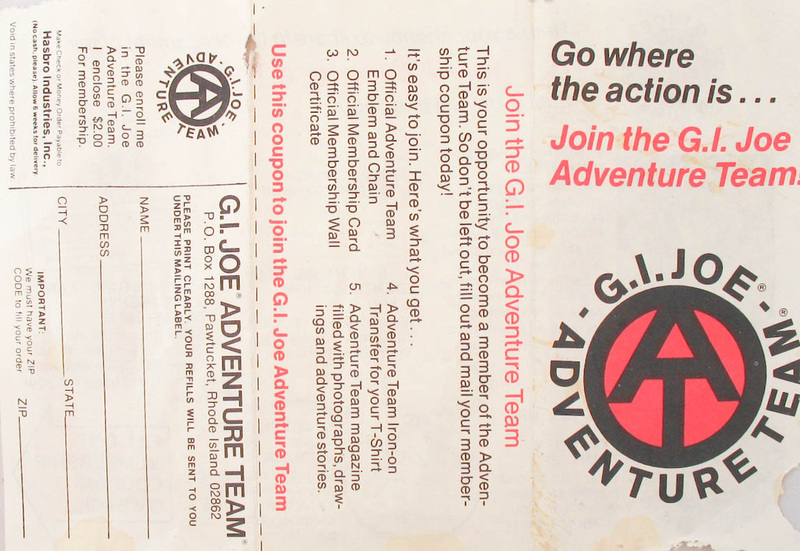 The early release of the Adventure Team club flyer (above) was printed in two colors and is slightly smaller than the later lack and white version. Below, the Canadian release box printed in both French and English.